I thought the newer version of Windows OS after Win 8.1 would be Windows 9. But I was wrong. 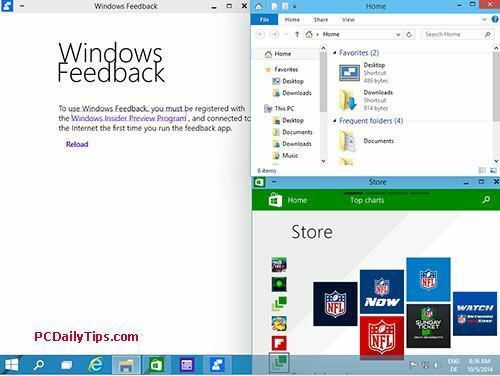 The next version after Windows 8.1 is called, Windows 10, it is still on preview when this post is written. Honestly, my first impression after installing it on a Virtual Machine is, wow, very fast and snappy. I have Windows 8.1 in my VM, and compared with this technical review version, the previous version is significantly slower. 1. The new close button navigation (the red close button, resize, and minimize), that is always shown. With this sticky menu bar, now, you don’t have to hover your mouse first before actually closing an app. 2. The snappy tiled applications Windows on a desktop. 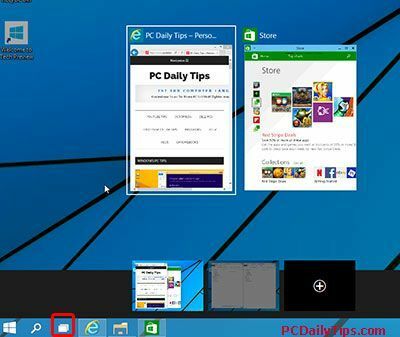 Say, you have many applications opened on a desktop, for example, Store, Internet Explorer, and Windows Explorer), you can view all of the all by side. 3. The ability to add a new desktop. This feature reminds me of the Mac, and honestly, although I am using a Mac, I have never used it. So I guess, I will also not be often using it on Windows. 4. The “Task View” is like the “Mission Control” another feature that I also find similar like on a Mac. 5. The Universal Search. 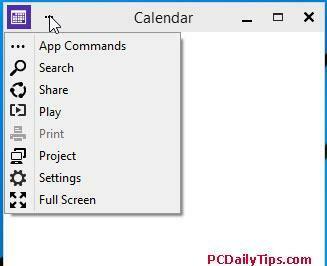 It will be a search icon in Task Bar, and you can search anything there, basically same as the Search icon in Charms bar function on Windows 8.1. 6. The ability to paste texts from Command Prompt to Notepad (or other text editor). This is really a cool feature if you used to work with CMD often. However, if we want to paste text from let’s say, notepad to Command Prompt, it won’t work. This actually worked in Windows 8.1. But it’s still a preview version, so things can change. 7. App setting. This is like App’s preference, that you can access on the menu bar when the app is opened. 8. The feedback option. When you type “Feedback” on the search button, you will see chat icon to send your feedback about this new OS to Microsoft. When is Windows 10 Release Date? I have heard that it will be free upgrading once it is released somewhere in 2015 as long as you have Windows 8 computer. Now that the Yosemite will be released, I am wondering they will be released in the same year and same month.